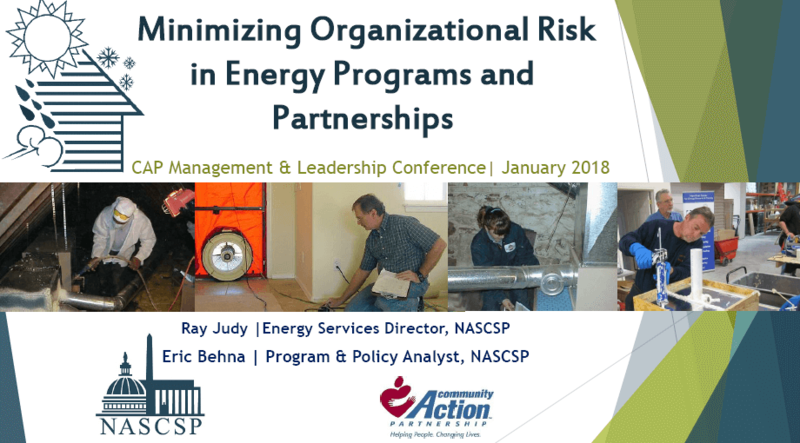 Presentation from the 2018 CAP Management and Leadership Conference from the NASCSP energy team. Discusses roles and responsibilities of various levels within the network and at an agency with strategies to minimize risk at the agency level. Also includes promising practices from the NASCSP ASCI working group with grantees.